The pattern for these hats is simple and the hat will fit just about anyone. 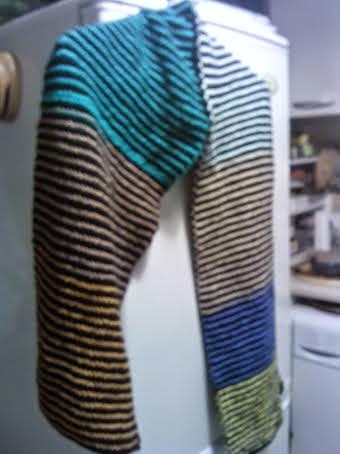 I made mine stripped using colours that I had so that it would go with the scarf I have made. 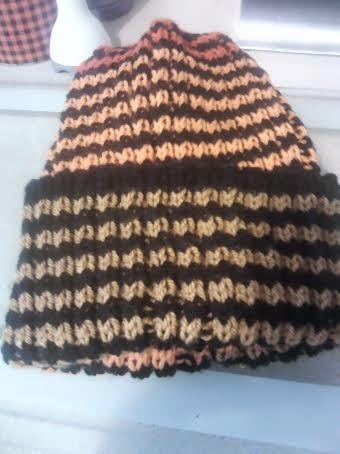 The colours don't show up well but they are brighter than they look a brown, bright orange and red with black as the main colour just like the scarf I made. So now I have a set to send off and hopefully someone will have nice warn hat and scarf to wear and all made from scrap yarn. I am slowly getting through the stash I have but still have a lot to use up and no shortage of ideas to make things either. Time to get the patterns out and decide what will be next on my needles.